The white bathrobe is iconic, Marilyn Monroe made it so, maybe it was important before but I’m not really sure. Anyway, who doesn’t love a soft white robe that is just a bit too big and has a feeling of luxury. Yes, cotton can be so amazing. 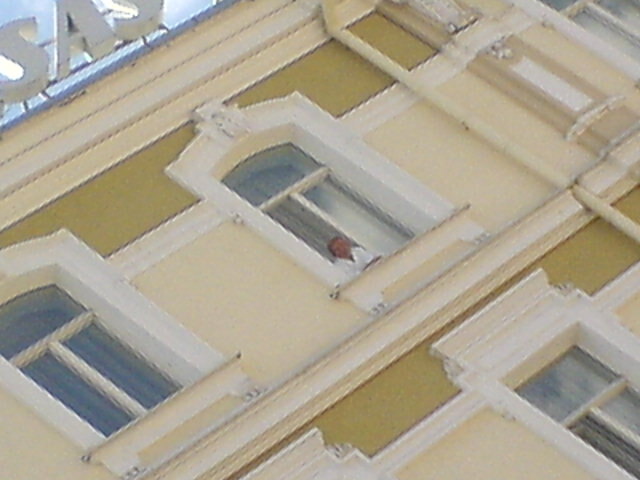 But really to be in Vilnius, Lithuania and see Billy Idol in a white robe, looking out of his hotel, how cool is that!